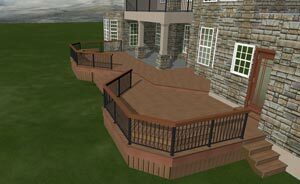 Roadrunner Decks offers state of the art 3D Designs to help bring your ideas to life. With this new technology it is possible to visualize your new deck attached to your home even before beginning construction. Whether new or repair, we work with only the best decking materials such as cedar, treated wood, IPE, other hardwoods and composite decking materials. 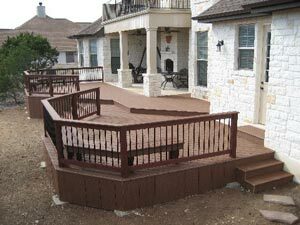 Decking replacement, frame replacement, concrete footings, power washing, staining and more. Whatever your deck needs are, we can restore or replace to suit. You may have a deck repair that needs proper materials. We can make our repairs look virtually unnoticable to the eye and your deck will look new again. 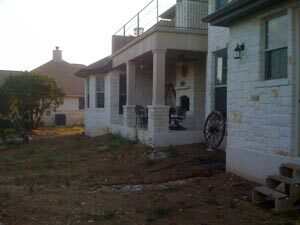 We are able to provide a wide range of maintenance needs such as mildew removal, sealing, staining, sanding, board replacement, pressure washing and all other typical maintenance a deck requires.